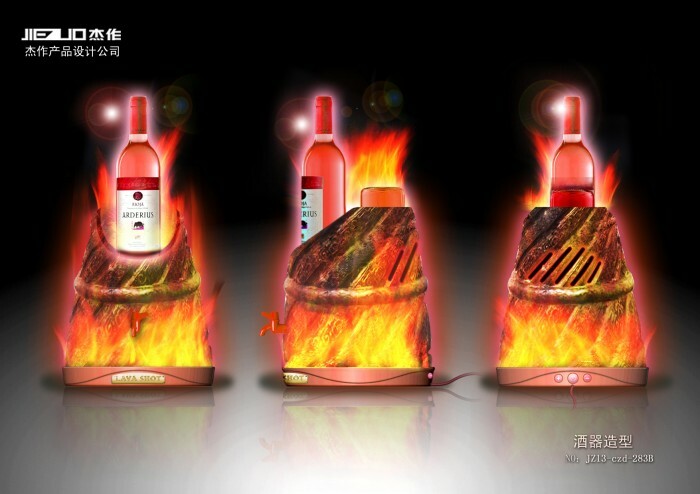 Invented for the Bar/Club world. 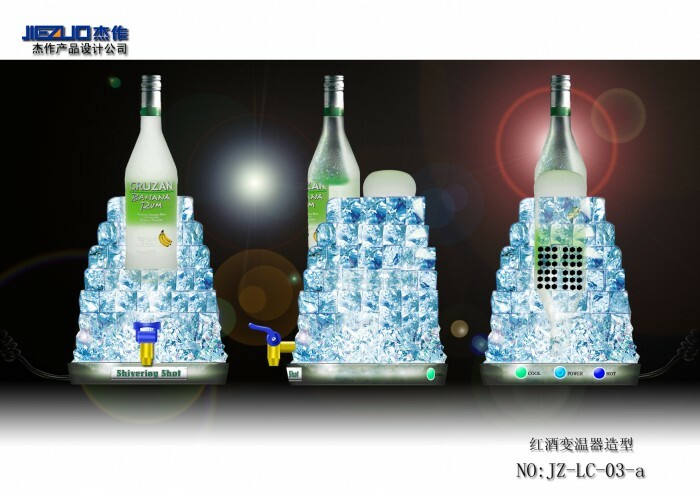 It is a table/bar top cooling/heating display dispenser designed to dispense chilled or heated shots of any type of beverage (vodkas, schnapps, liquors, etc.…), while showcasing the product being dispensed. Thus not making it product specific allowing the owner to dispense various products or multiple products. The internal chilling/heating is done with thermo-electric technology. Each unit also has a built in atomizer thus producing a mist creating a “cold mist or a hot steam” depending on version used. 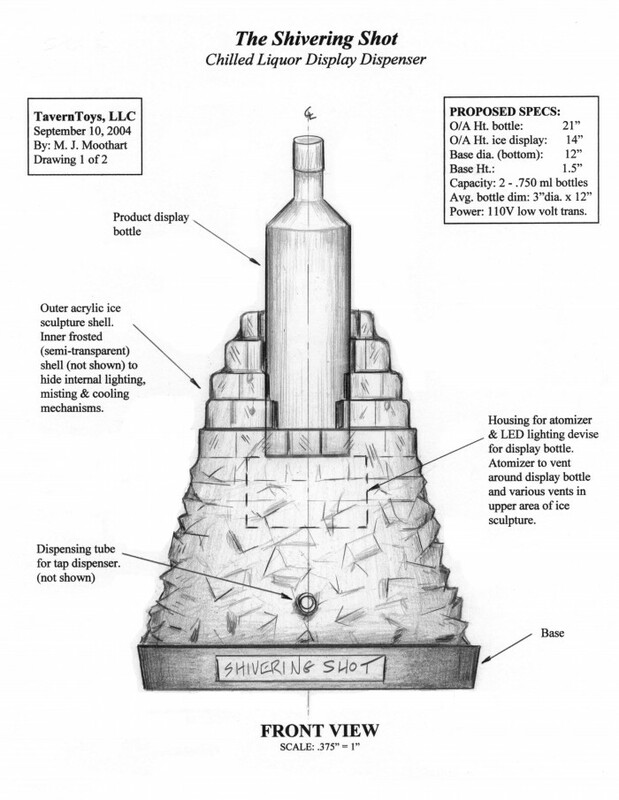 They would be illuminated with various colored LED lighting (white/blue for ice effect, red/yellow for heat effect). 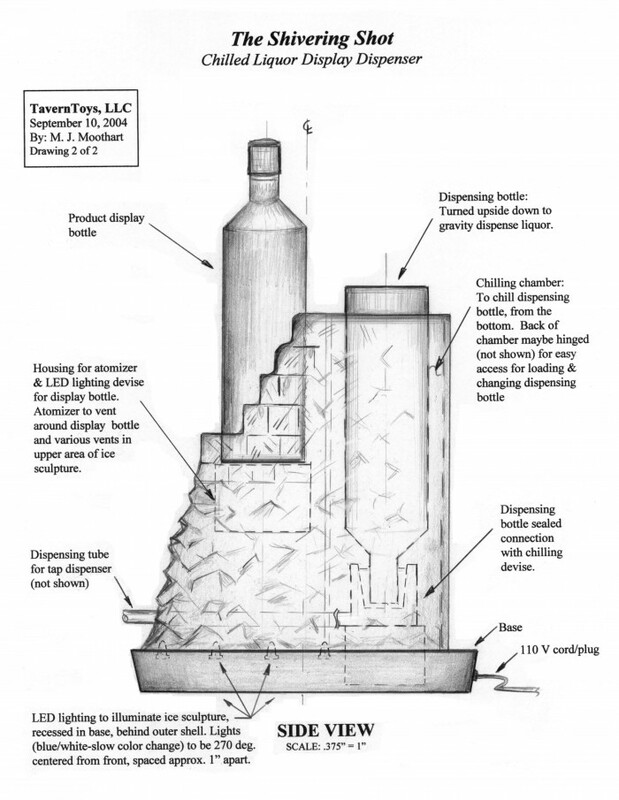 With the patent are various trademarked names. 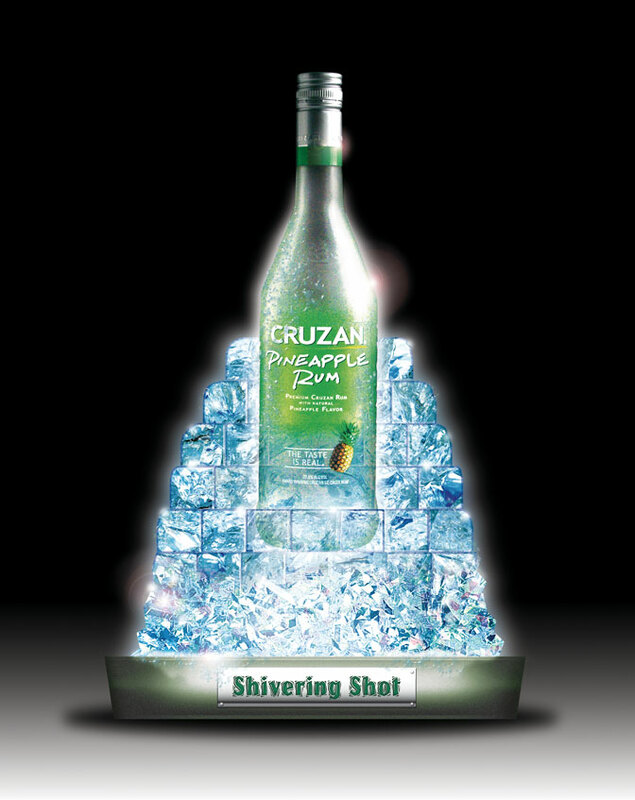 We called the chilling version “The Shivering Shot”. Its outer shell simulating an ice sculpture/mound. Page created at 2019-04-25 18:04:37, Patent Auction Time.